Achieve absolute harmony as well as a truly luxurious setting by completing your bedroom furniture set with this designer chest of drawers. This chest of drawers is the perfect component to add to the Helium bed and nightstands. 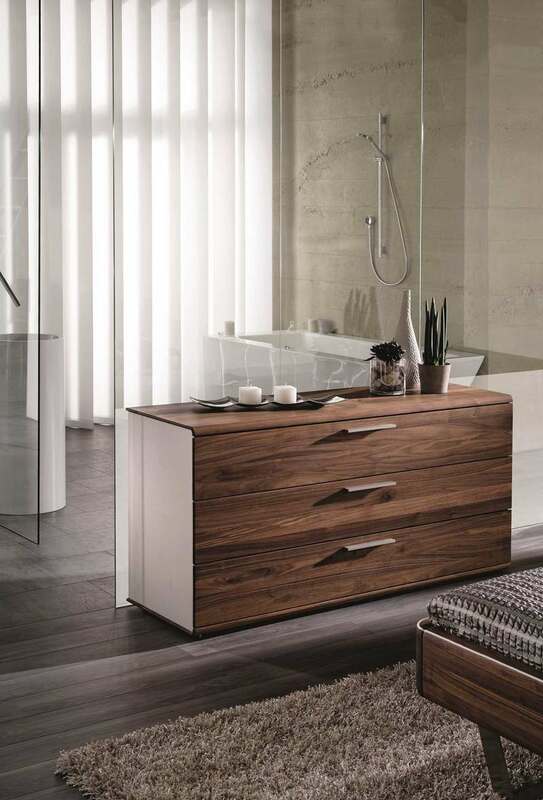 This chest of drawers will complete the perfect setting for a modern and contemporary housing environment. Providing stylish and efficient storage for all your belongings, the extraordinary German design and Austrian craftsmanship combine perfectly and merge together to give way to a perfectly shaped and integrated structure. Available in two kinds of wood (oak and walnut). Side panels can be ordered alternatively in leather or in wood. There are two different lengths available. The Helium chest of drawers is available in oak and walnut. Side panels can be ordered alternatively in leather or in wood. Have a look at the complete Helium collection designed by Martin Ballendat and step into a world of luxury, contemporary design and relaxing dreams. The solid wood is obtained from sustainable forestry and processed with excellent craftsmanship. 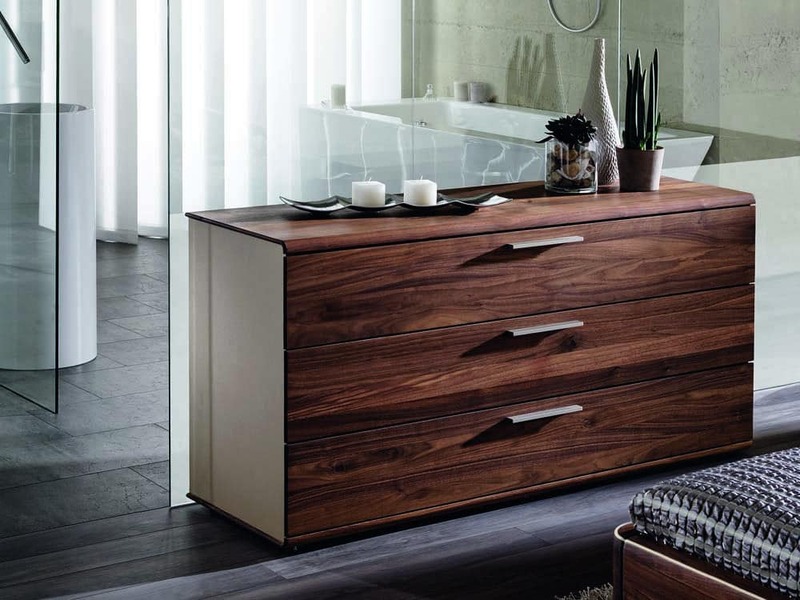 By purchasing the Helium triple-drawer chest, you will acquire Eco-labeled furniture produced in Austria. Trendy and audacious, the Loft chair will spruce up your interiors with a breath of fresh air. The solid and massive wooden table top will reflect a truly exclusive atmosphere from the dining room to your entire home. Robust yet exquisitely shaped, the elaborate details and superb craftsmanship reflected by this dining table will stun you. A beautiful example of a winning combination of superb craftsmanship and high end materials, this contemporary dining table will take your dining room to new heights. The massive and solid walnut table top will enchant you on a daily basis, the beauty warmth it exhales will fill your home with pleasant sensations.